Rocking it old skool… sort of. The iPod Classic, the true successor, ten years on. Photo (CC-BY-ND) Mac User’s Guide. The tenth anniversary of the iPod debut means you’ll find plenty of commentaries on Apple’s iPod and how it has changed music. It’s an issue that’s been talked to death enough, continuously, in the past ten years that I’m literally uncertain there’s more I can say about it. Here’s one good, compact commentary from Daring Fireball, inspired by Macworld’s sharp review from the 2001 debut of the hardware. Instead, let’s consider what hasn’t happened: Apple hasn’t discontinued the standalone iPod, as distinct from the iPad and iPhone and other general devices. For music lovers, that’s a big deal. The sad news is, the category itself has all but entirely imploded. The last ten years has been in almost every category a kind of battle between dedicated devices and convergence devices. Anecdotally and statistically, you’ve seen people abandon dedicated video cameras, still cameras, audio recording gadgets, and audio players for something like their iPhone. Little wonder: unless you have enormous pockets, if the integrated device does the job – and its battery doesn’t give out – it means something that’s always at the ready. But, secondly, even as various analysts predicted Apple would kill the dedicated iPod players or even the iPhone-with-no-phone iPod touch, Apple didn’t discontinue anything. 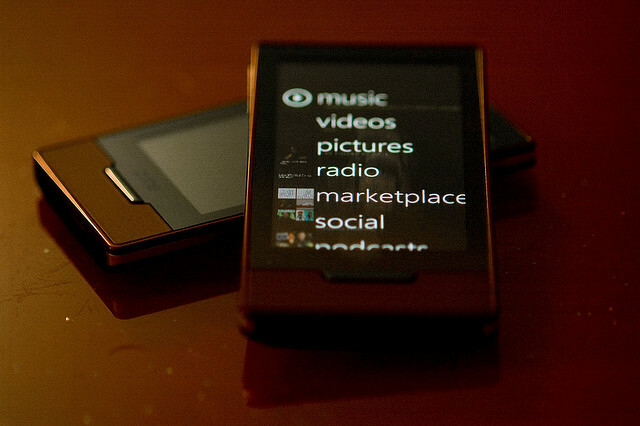 Not so much: Microsoft’s now officially-dead Zune. 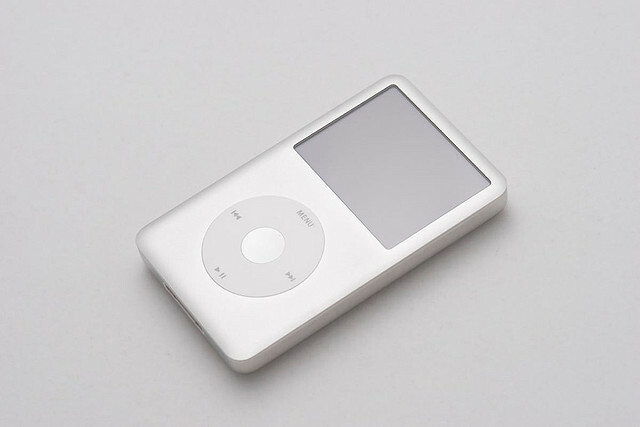 It copied everything I didn’t like about the iPod (the need for dedicated software) without doing anything differently enough to make it a real rival. Photo (CC-BY-ND) asurroca. My favorite player remains Apple’s iPod Classic. It’s beautifully designed, holds an absurd amount of music no phone can match (160 GB), and has a simple, clean interface for getting to your music. It’s sad to me only that it’s the only choice, particularly because the one thing rivals did have going for them was easier, more open sync rather than iTunes-only solutions. In fact, even the original iPod had as a major selling point the ability to work as a dedicated hard drive. As a purchaser of the first iPod, one of my favorite features was the ability to easily tote around a big file or two atop the music library. Oh, yeah, and it’ll still run when your phone battery is dying, and it costs just US$249 – no phone contract required. Ahem. Phones as playback devices are pretty great. But remember that the original dream of the iPod was something different: it was the ability to put your whole music library on one device and take it anywhere. My main question is how that legacy will pan out. Dedicated music devices give you distraction-free access to nothing but music, and ongoing storage innovations mean that something that’s just a music device may long exceed what the convergence devices can do, surviving for the reason SLR cameras do. Apple’s iPod series will last so long as people keep buying them; Apple seems in no hurry to walk away from extra revenue. (It’s part of the reason why they’ve got all that cash, folks.) But I wonder in the long term what will happen to the category. To me, the major gaping hole is something a lot of us wanted even when we saw the first iPod: a dedicated, pro-quality music player, a kind of audiophile iPod. It doesn’t need any fancy features or silly gold-plated jacks, just something dedicated to playing music and nothing else. I wonder if we’ll ever see that, or if it’ll be another casualty of the explosion in consumer gadgets. In the meantime, long live the iPod Classic. And for the record, if you do have an original iPod from ten years ago, you can still make it sing: install Linux and it’ll even run Pd.